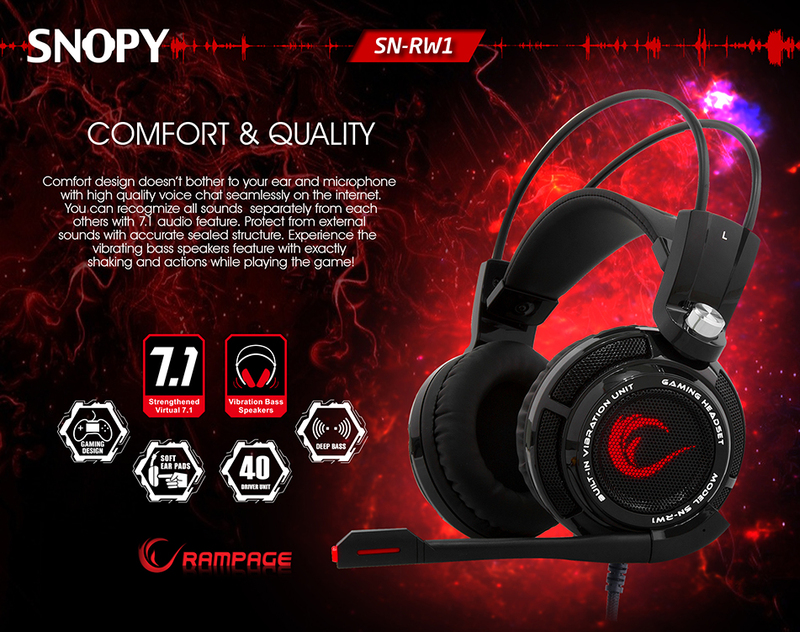 Snopy Rampage SN-RW1 7.1 USB Gaming Black Headset; Comfortable design doesn't bother to your ear and microphone with high-quality voice chat seamlessly on the internet. You can recognise all sound separately from each other with 7.1 audio feature. Protect from external sounds with accurate sealed structure. Experience the vibrating bass speakers feature with exactly shaking on the act while playing the game. 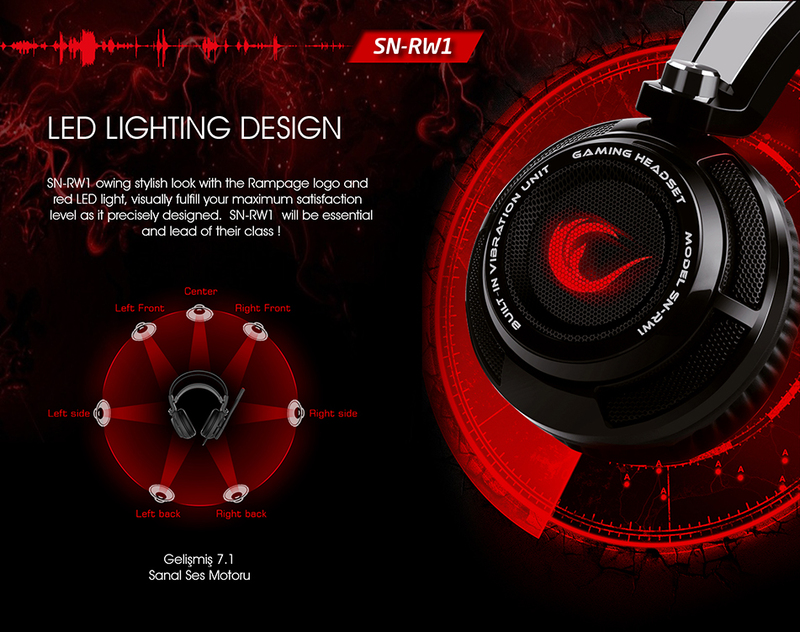 Snopy Rampage SN-RW1 7.1 USB Gaming Black Headset; It has stylish look with the Rampage logo and Red LED light, visually fulfil your maximum satisfaction as Ä±t Ä±s precisely designed. SN-RW1 will be essential and lead of their class. 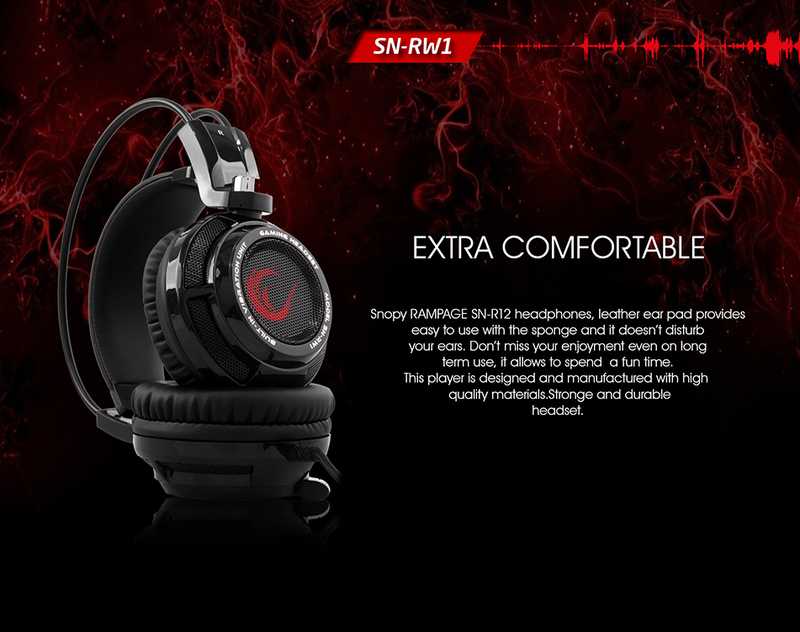 Snopy Rampage SN-RW1 7.1 USB Gaming Black Headset; SN-RW1 is very special gaming player. It has been designed to be comfortable and stylish. You have to be integrated into the game world in a far away, ear cushions provide perfectly sound isolation from outside sounds. Adjustable soft headband With long-term use can perform without discomfort. Enhanced 7.1 sound in virtual mode feature allows FPS games such as Counter Strike Be aware of where it came from your competitors. you can make microphone active or inactive through the on and off audio control device on cable, you can also active of inactive bass vibration feature. 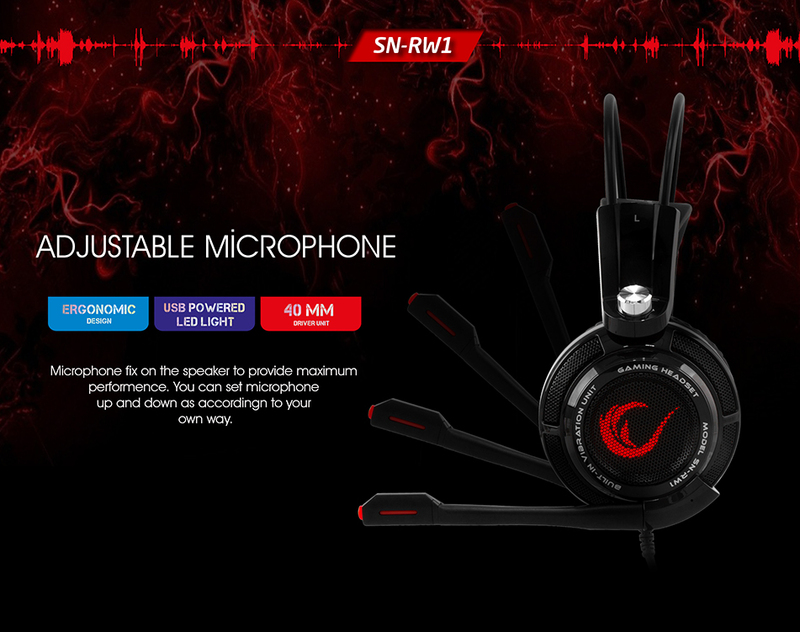 Snopy Rampage SN-RW1 7.1 USB Gaming Black Headset; Microphone fixes on the speaker to provide maximum performance. Microphone place on speaker's cable to protect microphone's Speaker from external factors. It is much more durable and useful. 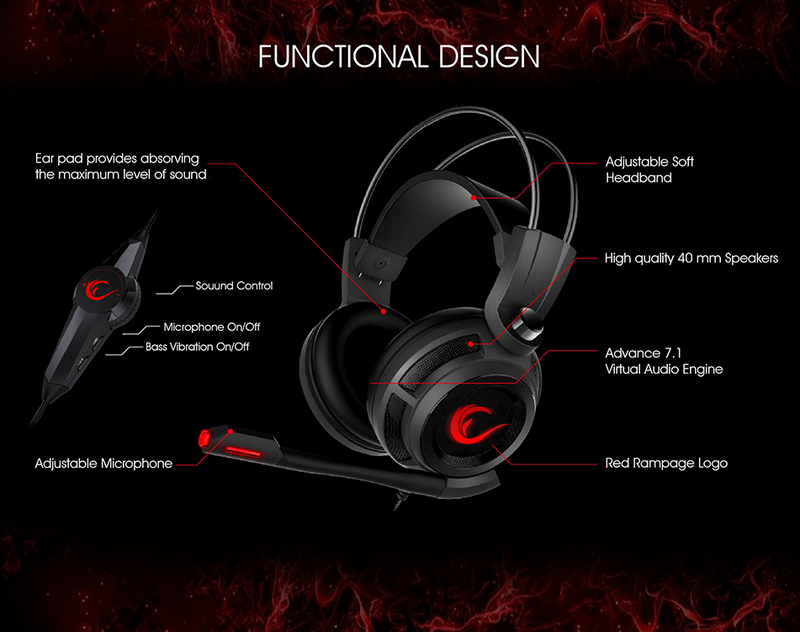 This is manufactured by using quality materials, gaming headset has a durable and strong structure. Snopy Rampage SN-RW1 7.1 USB Gaming Black Headset; Non-leather ear pad provides to use with the sponge and it doesn't disturb your enjoyment even on long term use, it allows to spend a fun time.